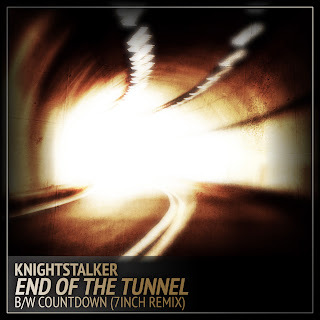 Last week Praverb Dot Net presented a video from Knightstalker called "Countdown" and today we offer the iTunes single End Of The Tunnel b/w Countdown (7Inch Remix). "End Of The Tunnel" is the first single from Knightstalker's album Knighttime. The track promotes self-confidence and the power of believing in yourself. Swiss duo Nefew, handles the production for "End Of The Tunnel." German beatmaker 7Inch handles the production on the "Countdown (Remix)." You can support this talented emcee by clicking the Buy Now button below.